The cream of the crops and perhaps the most exquisite ganja you will ever encounter; this strain ranks as the most awarded variety in the history of harvest festivals. Nine awards and counting would be the pinnacle of recognition for any strain, yet Jack Herer manages to go a step further and bears the distinction of being distributed under prescription by Dutch pharmacies as a recognised variety of medicinal-grade cannabis. Sensi’s champagne of strains is named in honour of Jack Herer, author of The Emperor Wears No Clothes. Through tireless activism and his landmark book, Jack Herer can take most of the credit for reminding the world that cannabis in all its forms has always been one of humankind’s most valuable resources, and that we can literally save the planet with hemp! The sublime blend of tropical Sativa high and monstrous Indica resin production captured in Jack Herer must be seen and sampled to be believed. 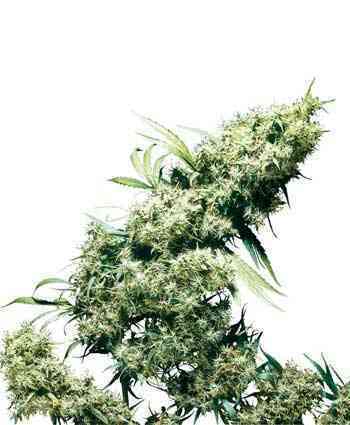 At their peak, buds are so thickly smothered with clear trichomes that they appear sugar-frosted or sparkling with dew-drops. This crystal-coating extends to spear-leaves, fan leaves and even to Jack’s stems and stalks. Plants from seed show favourable variation, due to Jack Herer’s complex background and delicate balance right at the cusp of Sativa and Indica. Enhanced features from both sides of the family are strongly evident and are expressed in different combinations, allowing growers to select mother plants tailored to their circumstances and tastes. Three of Jack’s four main phenotypes are heavily Sativa-influenced while the fourth has a growth pattern leaning towards Indica - fast-flowering and relatively compact with a dense, expansive, rounded bud structure that’s suited to cash-cropping. 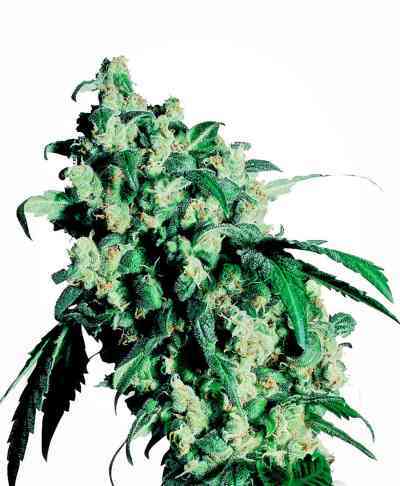 Jack’s Sativa phenotypes can also produce a good per-metre or per-plant yield when cultivated skilfully, though it is rare for these crops to be sold commercially. 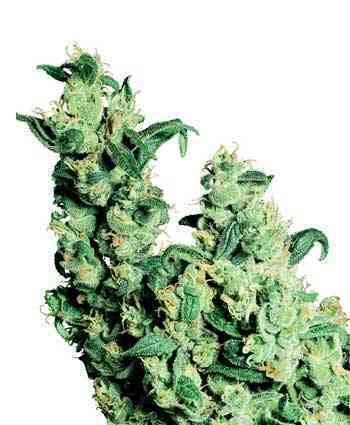 Most growers who have watched their succulent, super-sized calyxes swell and mature will be hesitant to sell such buds, and the best Jack Herer is often passed around a select circle of friends - an example of one of those things that money just can’t buy. The trait common to all Jack Herer phenotypes is a dazzling double-edged potency - a stratospheric cerebral high underpinned by a breathtaking body-buzz with seismic power. Smokers should be prepared to feel the earth shake beneath their feet - which can be a very pleasant feeling when your head is firmly in the clouds. Kann mein Glück gar nicht fassen! Sensi hat sich nach Jahren nun endlich mal bequemt ihre Spitzensorte auch feminisiert anzubieten. Direkt mal bestellt. 100% Keimung, bin auf gespannt was draus wird.